Summer Session Housing | Housing and Residence Life, U.Va. "Summertime, and the living is easy." 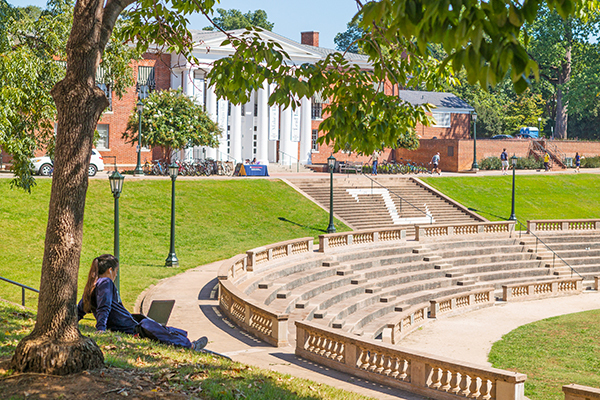 UVA Summer Session will be held from May 13 to August 2, 2019. If you are enrolled in UVA Summer Session classes for credit during any of the sessions, you are eligible for Summer Session Housing. Why not keep life simple and live on Grounds? All of the info you need to know about Summer Session housing is below. If you are participating in a summer internship or UVA-affiliated program, please do not register for Summer Session Housing. Instead, please see the information available on Summer Intern Housing. If you are part of the Summer Language Institute, you will need to register for 8-Week Summer Session housing. If you are participating in the McIntire Business Institute (MBI), do not register for summer session housing. Instead, please use link provided by the program for housing in Lambeth. Housing for Summer Session is available from Sunday, May 12 to Saturday, August 3, 2019. Summer Session residents will stay in air-conditioned accommodations in Dabney, in the McCormick Road Residence Area. What about meal plans or parking? We do not arrange dining, meal plans, or parking for Summer Session residents. However, meal plans are available for Summer Session students through Dining Services (434.982.5140) and parking is available through Parking and Transportation (434.924.7231). How do I reserve housing? Please note we are unable to accept registrations by telephone or email. The housing rate is $29.00 per person, per night, for one bed in a double-occupancy room. Charges for the session you select will billed to your SIS account after you complete the summer housing application. You will be charged for every night in that session, even if you choose to check out early. You will not receive a refund for early check-out. Can I request a specific roommate for the summer? As part of the housing application you will be selecting your room for the summer, and can view the other occupant in double rooms with available vacant beds. What if my plans change and I need to cancel or revise my reservation? Please note that all cancellations must use the Summer Session Housing Cancellation Form in order to be honored. Download this PDF to your computer in order to enter and save your information. If we receive your cancellation form seven or more days prior to your scheduled check-in date you will receive a refund, less a $50.00 cancellation fee. If we receive the cancellation form less than one week prior to your scheduled check-in date you will receive a refund, less a $50.00 cancellation fee and a charge equal to seven nights of housing. If you are changing your Summer Session attendance to a different session, please cancel your current housing reservation with this form and submit a new housing registration on this website. The capability to add a new housing reservation is offered subject to availability.